My low beams stopped working on my 01 civic HX. Apparently a common problem with these cars. Got some advice from some people, did a little Googling and found out that a lot of the time it can be a bad light switch. So I go buy myself a new light switch and found out the REAL REASON why my headlights weren't working properly. How much would it cost for me to get this fixed? 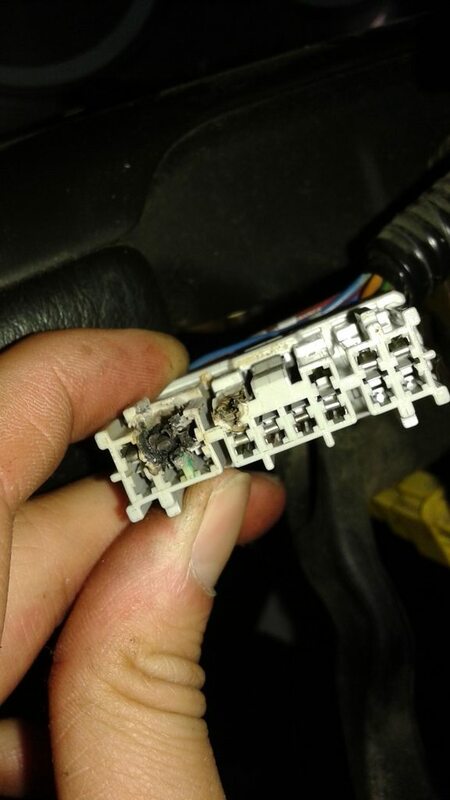 A diagnostic also said I had a wiring/connection problem. UPDATE: Just installed the new switch and the low beams seem to be working for now, but I don't know how long that's going to last. I would be more worried that if you replace the connector, that it will melt again. I had a friend who kept having headlight issues and the connector kept melting, replaced the bulb and no more problems. As far as a solution, you can probably find someone selling a connector on eBay that you can splice in. poot. found out why the car stinks.